Rolling dice in Roll20 is easy! Just type the /roll command into the Text Chat box, followed by a formula. In most cases, the formula is the same as the one that's printed in your game's instructions. For example, you might know that to roll an attack roll you need to roll a "D20 plus your attack modifier". 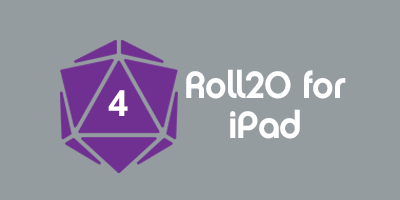 In Roll20, you would just type /roll 1d20+5. If you hit and you need to roll 3d6+2 damage, you would just type /roll 3d6+2. Finally, you can also string multiple rolls together. If you have an attack that does two types of damage, you might do /roll 2d6+5 + 1d8. For more advanced rolling mechanics, be sure to check out the Dice Reference. To perform a roll that can only be seen by you and the GM, you can use the command /gmroll [formula]. So for example /gmroll 1d20+5. When rolling a basic die (d4, d6, d8, d10, d12, or d20) a small icon appears in the chat window next to your roll, showing the result number. You can drag and drop this image onto the tabletop interface, creating a token in the interface color of the rolling player. You can also re-roll these tokens or place them on another side. Right-click on the token, and under the “Multi-Sided” option you can choose to either make a “Random Side” appear-- which will result in a new roll-- or select “Choose Side.” The Choose Side option will launch a pop-up, from which you can pick the side of the token to display. This page was last modified on 4 February 2015, at 17:17. This page has been accessed 123,450 times.